How to sum up this iconic Cabernet Merlot? 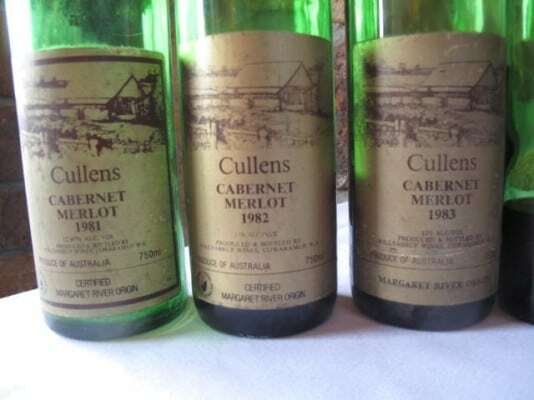 A daunting task – but if there’s a thread to be pulled from Cullen’s 40th anniversary tasting of its flagship Cabernet Merlot, it’s about strength in frame and freshness. Unstrident, fruit was a harmonious element of the (fruit, flower and earth) whole, making for wines of great composition, grace and beauty from 1981, right through to barrel samples of the 2010 vintage. 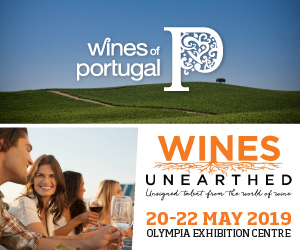 The minerality of the line up was much remarked on, viticulturist Pete Mammone finding a resonance of Diana Madeline block’s forest grove soils in the wines (pictured). Rockpool Bar & Grill’s Wine Director Sophie Otton found a spectrum of earth and minerals “from warm brick to clay terracotta to ochre, iron filings and iodine.” For some, iodine was their kelp. I think it’s my boot polish, while Otton’s iron filings are my gravel. And it seems to me that the most recent, positively mineral-sluiced, vintages are possessed of this trait from the off. At around 12.5% abv, later vintages also have lower alcohol, for Chief Winemaker Vanya Cullen, an outcome not an intention. As she puts it, the intention is to encourage vitality in the vines and land (the spur for cultivating the vineyard biodynamically). An outcome of this vitality is earlier ripening – she says,“it’s the vines and vineyard making the decision” and you can hear more about this and Cullen’s reflections on Cullen Wines past, present and future in my video interview below. Cullen’s favourite vintages? The 2009, 1994 (reserve), 1995, 1999, 2000, 2001 & 2002. Mine? 1982, 1987, 1988, 1990 (regular), 1994 (reserve), 1995, 1999, 2001, 2004, 2007 & 2009. You’ll find my tasting notes below and, if you’d like to know more about the history and evolution of Cullen Wines, including the background to their conversion to organic then biodynamic viticulture, click on this link – Ahmed On the Vine Cullen – for a copy of an in depth feature I wrote for The World of Fine Wine in 2007 after I’d spent two weeks cellar ratting at Cullen Wines. The feature concludes with notes on verticals of the flagship wines which I tasted with Vanya Cullen back in March 2007, which make for an interesting comparison. And click here for my report on the 40th anniversary tasting of Kevin John Chardonnay (2002-2010). Background information: another hot and dry vintage at Cullen Wines. Yields: Cabernet Sauvignon – 1.2 tons per acre. Harvest dates: Cabernet Sauvignon: 17 to 24 March, Merlot and Malbec: 16 March. The wine spent 18 months in oak before bottling. Background: Low acid levels and high tannins. Poor winter rains and plenty of bush fire. Decided to make only one flagship red wine, namely the Cabernet Sauvignon Merlot. It took 3 years to sell! Yields: Cabernet Sauvignon – 2.9 tons per acre, Merlot – 1 ton per acre. Harvest dates: Merlot 4 March, Cabernet Sauvignon 2 to 28 March. The wine spent 22 months in oak. The high tannin levels meant that ten egg whites were used per barrel. Background: It was a long ripening season, with no bird damage and good crop levels. Yields: Cabernet Sauvignon – 2.7 tons per acre, Merlot – 1.4 tons per acre, Cabernet Franc – 0.5 tons per acre. Harvest date: Cabernet Sauvignon, Merlot and Cabernet Franc. 6 March. 18 months in oak. Final blend: 65% Cabernet Sauvignon, 30% Merlot, 5% Cabernet Franc. Background: Hot and dry vintage until rain in March (Bé 11.7 – 13.7°, pH 3.45 – 3.6, TA 7.2 – 5.6 g/L). Good flavours in red wines. Yields: Cabernet Sauvignon – 1.5 tons per acre, Merlot – 0.5 tons per acre, Cabernet Franc – 0.5 tons per acre. 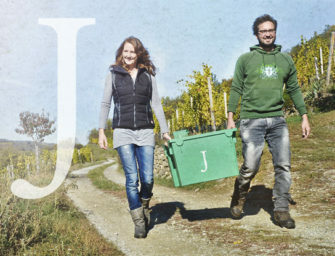 Harvest dates: Cabernet Sauvignon, Merlot and Cabernet Franc: 5 March to 21 March. Final blend: 65% Cabernet Sauvignon, 30% Merlot, 5% Cabernet Franc. The wine was placed into oak for 18 months. Background: A good season with a cool, slow ripening period. Wines with great depth of flavour. Yields: Cabernet Sauvignon – 2 tons per acre, Merlot – 0.5 ton per acre for Merlot, Cabernet Franc – 1 ton per acre. Harvest dates: Cabernet Sauvignon 7 March to 21 March (Bé 13.0 – 13.1, pH 3.53 – 6.63, TA 6.4 – 6.0 g/L), Merlot and cabernet franc: 14 March (Bé 12.9°, pH 3.55, TA 6.0/L). The wine spent 24 months in oak, of which 30% was new. Final blend: 65% Cabernet Sauvignon, 35% Merlot. Background: Drought year with very low cropping levels. Yields: Cabernet Sauvignon – 1 ton per acre, Merlot – less than 0.5 tons per acre, Cabernet Franc – less than 0.5 tons per acre. Harvest dates: Cabernet Sauvignon, 9 March to 19 March (Bé 12.0 – 13.1°, Ph 3.30 – 3.50, TA 8.1 – 6.3 g/L), Merlot and cabernet franc, 25 March (Bé 12.6°, pH 3.52, TA 4.2 g/L) The wine spent 24 months in oak, of which 30% was new. Final blend: 60% Cabernet Sauvignon, 35% Merlot, 5% Cabernet Franc. Background: Another drought year that was very hot and dry. The Cabernet Sauvignon, Merlot and Cabernet Franc all produced very low yields. The first trial area of Scott Henry trellising was established and the first of the Reserve Cabernet Sauvignon Merlots was produced. Yields: Cabernet Sauvignon – less than 1 ton per acre,Merlot – less than 1 ton per acre,Cabernet Franc – less than 1ton per acre. Harvest dates: Cabernet Sauvignon, 18 March to 29 March (Bé 12.25 – 12.80°, pH 3.55 – 3.60, TA 6.45 – 5.0 g/L). The regular wine spent 22 months in oak, of which 30% was new. The Reserve (see below) remained in oak for a further year. 65% Cabernet Sauvignon, 30% Merlot, 5% Cabernet Franc. Background: Although it was a good winter, we were unfortunate in having summer rains. The wines that we produced were light and pretty at a young age. Yields: Cabernet Sauvignon – 2.4 tons per acre, Merlot – 1 ton per acre, Cabernet Franc – 3 tons per acre. Harvest dates: Cabernet Sauvignon 1 April to 9 April (Bé 12.6 – 13.6°, pH 3.60 – 3.81, TA 6.0 – 5.4 g/L), Merlot and Cabernet Franc, 21 March (Bé 13.0°, pH 3.40, TA 5.25 g/L). The regular wine spent two years in oak, of which 50% was new Nevers oak. The Reserve (see below) had a further 12 months in oak. The third year for the Reserve was in new oak. Final blend: Regular – 65% Cabernet Sauvignon, 30% Merlot, 5% Cabernet Franc. Background: Good winter rains and good cropping levels produced wines of great stature. Yields: Cabernet Sauvignon – 2.9 tons per acre, Merlot – 4.2 tons per acre, Cabernet Franc – 4 tons per acre. Harvest dates: Cabernet Sauvignon, 30 March to 7 April (Bé 12.6 – 13.3°, pH 3.70 – 3.82, TA 5.25 – 4.50 g/L, Merlot, 21 March (Bé 12.1°, pH 3.62, TA 5.10 g/L), Cabernet Franc, 29 March (Bé 12.6°, pH 3.70,TA 5.25 g/L). The regular wine spent 24 months in oak and the Reserve (see below) spent 35 months in oak. Final blend: 65% Cabernet Sauvignon, 30% Merlot, 5% Cabernet Franc. 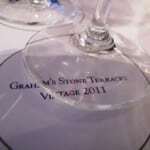 Background: Very hot and dry vintage. Good crop levels. Fantastic red wine vintage with ripe tannins and good acidity. Yields: Cabernet Sauvignon -2.5 tons per acre, Merlot – 4.5 tons per acre, Cabernet Franc – 4 tons per acre. Harvest dates: Cabernet Sauvignon, 22 March to 16 April (Bé 12.6° – 13.5°, PH 3.43 – 3.64, TA 6.0 – 5.0 G/L), Merlot and Cabernet Franc, 11 March (Bé 12.6°, PH 3.43, TA 6.0 G/L). The Cabernet Sauvignon Merlot wine was put in oak for 20 months, of which 50% was brand new. The Cabernet Sauvignon Merlot Reserve was placed in oak for an extra year. Final blend: 60% Cabernet Sauvignon, 30% Merlot, 10% Cabernet Franc. Classic season with good crops. Yields: Cabernet Sauvignon – 2.7 tons per acre, Merlot – 2.5 tons per acre, Cabernet Franc – 3.0 tons per acre. Harvest dates: Cabernet Sauvignon, 16 March to 10 April (Bé 12.8 – 13.8°, Ph 3.42 – 3.70, TA 6.9 – 5.4 g/L), Merlot and Cabernet Franc, 15 March (Bé 12.9°, pH 3.56, TA 6.5 g/L). No filtration or fining for the Reserve. Both wines spent 22 months in oak. First time that the Reserve represented a selection of best barrels (as opposed to simply spending longer in oak). Final blend:Regular 65% Cabernet Sauvignon, 25% Merlot, 10% Cabernet Franc, Reserve 50% Cabernet Sauvignon, 40% Merlot, 10% Cabernet Franc. Background: The season was cool and dry. Some powdery mildew even though there was very little rain. Conditions were overcast with few sunny days. Yields: Cabernet Sauvignon – 1.5 tons per acre, Merlot – 1.8 tons per acre, Cabernet Franc – 2.4 tons per acre. Harvest dates: Cabernet Sauvignon, 25 March to 7 April (Bé 11.7 – 13.0°, pH 3.76 – 3.72, TA 6.2 g/L). The wine spent 2 years in French oak. Of the oak, 30% was new, 40% was one year old and 30% was two years old. The Reserve was made from the best batches of wine and spent 22 months in 100% new French oak. It was not filtered. Final blend: Regular, 70% Cabernet Sauvignon, 20% Merlot, 10% Cabernet Franc, Reserve: 65% Cabernet Sauvignon, 35% Merlot. Background: First of the drought years. Hot and dry with very low yields, the lowest since 1988. Fabulous for red wines. Yields: Cabernet Sauvignon – 1.6 tons per acre, Merlot – 3.6 tons per acre, Cabernet Franc – 3.1 tons per acre. Harvest dates: Cabernet Sauvignon, 29 March to 18 April (Bé 12.7 – 13.7°, pH 3.54 – 4.20, TA 5.50 – 3.74 g/L), Merlot and Cabernet Franc, 18 March (Bé 13.0°, pH 3.60, TA 5.5 g/L). Final blend: 65% Cabernet Sauvignon, 30% Merlot, 5% Cabernet Franc. 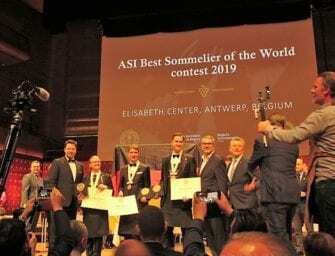 The Reserve was made from the best batch of Cabernet Sauvignon and was mostly picked later on 21 April (Bé 13.5°,pH 3.8, TA 5.1 g/L). It spent 21 months in oak. Final blend: 85% Cabernet Sauvignon, 10% Merlot, 5% Cabernet Franc. Background: The 1995 vintage came after the hot and dry season of 1994. Like the previous year, little significant rainfall was recorded between October and the harvest in March. As in 1994, it is in these hot conditions that, if the vines are in good health and not carrying too much crop load, they achieve physiological ripeness and therefore the greatest fruit concentration. 1995 was one of the fastest ripening seasons ever and produced the highest quality of fruit. 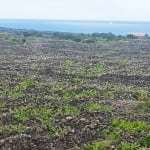 However, as the vines regulated themselves following the hot season of 1994, the crops were relatively low. This was the first year that we ceased making the Reserve Cabernet Sauvignon Merlot, since the wine quality of the individual batches was sufficiently good to make just one wine. Yields: Cabernet Sauvignon – 1.4 tons per acre, Merlot – 3.5 tons per acre, Cabernet Franc – 3.7 tons per acre. Harvest dates: Cabernet Sauvignon, 3 March to 27 March (Bé 13.3 – 13.9°, pH 3.77 – 3.79, TA 5.6 – 5.0 g/L), Merlot and Cabernet Franc, 2 March (Bé 13.1°, pH 3.60, TA 5.5 g/L). 50% of the wine was barrel fermented and 50% was left on skins for four weeks. The wine spent 17 months in oak, comprising 20% new, 30% one year and 50% two year old barrels. Final blend: 70% cabernet sauvignon, 23% merlot, 7% cabernet franc. Background: Following the drought conditions of the previous two years, 1996 saw the weather return to normal conditions. It was a warm and dry season leading into harvest, and the vines across the region produced good crops that were not stressed due to the climatic conditions. Yields: Cabernet Sauvignon – 2.2 tons per acre, Merlot – 3.5 tons per acre, Cabernet Franc – 3.3 tons per acre. Harvest dates: Cabernet Sauvignon – 13 March to 27 March (Bé 12.9? – 14.0?, pH 3.48 – 3.63, TA 5.4 – 5.0 g/L), Merlot – 11 March (Bé 13.2?, pH 3.71, TA 5.2 g/L), Cabernet Franc – 28 March (Bé 13.5?, pH 3.60, TA 5.1 g/L) The wine underwent 10% barrel fermentation, with the remainder being left on skins. Of the wine, 40% was placed in new oak and left in barrel for 18 months. Final blend: 75% Cabernet Sauvignon, 20% Merlot, 5% Cabernet Franc. Background: This year saw ample spring rainfall in the region. There was a mild warm ripening period, but rain came in early March. The vintage started and then stopped. However, the rain did not affect ripening of the crop due to the relatively low yields. The Indian summer which returned in late March (so typical of Margaret River) provided excellent final ripening for the Cabernet Sauvignon. Yields: Cabernet Sauvignon – 2.4 tons per acre, Merlot – 3 tons per acre, Cabernet Franc – 3.2 tons per acre. Harvest dates: Cabernet Sauvignon, 21 March to 10 April (Bé 13.0 – 14.6°, pH 3.70 – 3.71, TA 5.2 – 5.0 g/L), Merlot and Cabernet Franc, 27 March (Bé 13.0°, pH 3.60, TA 4.6 g/L). 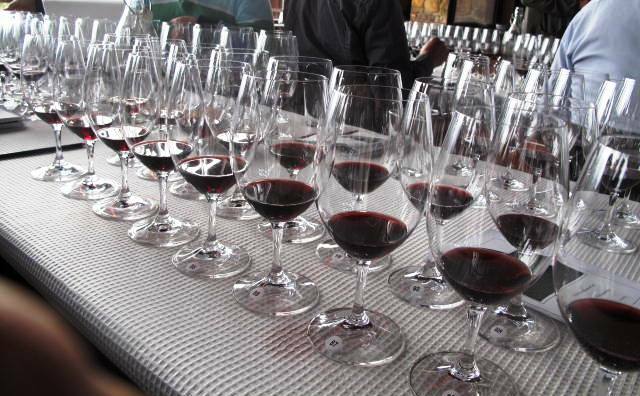 The wine spent 15 months in oak and, of the barrels, 32% were new, 48% were one year old and 20% were two years old. Final blend: 80% Cabernet Sauvignon, 12% Merlot, 8% Cabernet Franc. Background: Unpredictable elements yet again caused the usual stresses and strains associated with harvest time. 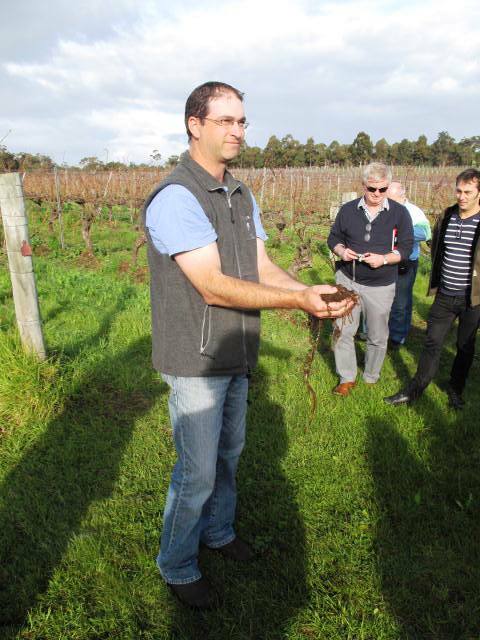 Two downpours of rain in March unexpectedly proved to be beneficial for vine health and flavour ripeness. Yields: Cabernet Sauvignon – 2.3 tons per acre, Merlot – 2.3 tons per acre, Cabernet Franc – 4 tons per acre. Harvest dates: Cabernet Sauvignon, 16 March to 15 April (Bé 13.1 – 13.7°, pH 3.56 – 3.83, TA 6.23 – 5.60 g/L), Merlot and Cabernet Franc, 25 March (Bé 12.7°, pH 3.60,TA 6.0 g/L). The wine spent 15 months in oak, of which 20% was new, 35% was one year old and 45% was two years old. Final blend: 70% Cabernet Sauvignon, 25% Merlot, 5% Cabernet Franc. Background: The early summer was cool with southerly winds dominating in this part of the season. This gave the vintage a late start and the grapes achieved flavour ripeness at lower sugar levels. Cyclone Vance, which created havoc around Australia, threatened the vintage just as the reds were approaching harvest. Fortunately, Vance diverted eastward and the reds were saved. After this nature turned on the most glorious Indian summer which lasted for weeks and produced one of the best red wine vintages of the decade. A small amount of Petit Verdot from the Mangan Vineyard was added to the wine. Yields: Cabernet Sauvignon – 1.9 tons per acre, Merlot – 2.3 tons per acre, Cabernet Franc – 2 tons per acre. Harvest dates: Cabernet Sauvignon – 23 March to 12 April (Bé 13.1? – 14.4?, pH 3.61 – 3.80, TA 6.0 – 5.2 g/L). Merlot and Cabernet Franc – 4 March (Bé 13.3?, pH 3.50, TA 5.0 g/L). The wine spent 18 months in 50% new oak. Final blend: 74% Cabernet Sauvignon, 20% Merlot, 5% Cabernet Franc, 1% Petit Verdot. Background: Another unusual season. The hottest December on record was followed by rain in early January, Cyclones Steve, Norman and Olga created a bit of a touch and go vintage. The growing season was blessed with good rains which gave the vines good health and all grape varieties seemed to ripen at the same time, making space in the winery a problem. Red wines made were elegant, fragrant and attractive, even at a younger age which made them lighter than in the two previous years. The Cullen-Mangan vineyards provided small amounts of Petit Verdot and Malbec fruit. Yields: Cabernet Sauvignon – 1.6 tons per acre, Merlot – 2 tons per acre, Cabernet Franc – 2.7 tons per acre, Mangan Petit Verdot – 0.5 tons per acre, Mangan Malbec – 0.5 tons per acre. Harvest dates: Cabernet Sauvignon, 7 March to 23 March, Bé 13.3 – 13.8°, pH 3.40 – 3.67, TA 8.0 – 6.0 g/L, Merlot and Cabernet Franc, 3 March (Bé 13.1°, pH 3.4, TA 6.6 g/L), Malbec, 23 March (Bé 13.4°, pH 3.68, TA 5.2 g/L), Petit Verdot, 27 March (Bé 13.3°, pH 3.30, TA 10.5 g/L). The wine was left in oak for 15 months, with 40% being in new barrels. Final blend: 65% Cabernet Sauvignon, 21% Merlot, 5% Malbec, 5% Petit Verdot, 4% Cabernet Franc. 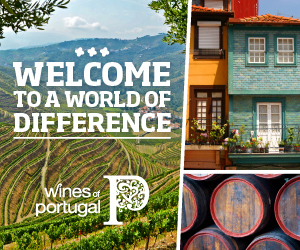 Background: A cool harvest producing fine and elegant wines. Due to the even, cool temperatures of vintage, excellent acidity and perfumed aromas. Yields: Cabernet Sauvignon-2.5 tons per acre, Merlot-1.3 tons per acre, Petit Verdot-1.9 tons per acre. Harvest dates: Cabernet Sauvignon, 13 March to 8 April (Bé 12.4 – 13.7°, pH 3.40 – 3.66, TA 7.9 – 6.0 g/L), Merlot, 12 March to 24 March (Bé 12.6 – 13.00°, pH 3.4 – 3.48, TA 7.2 – 6.15 g/L), Petit Verdot, 10 April (Bé 14.2°, pH 3.4 – 3.36, TA 7.2 – 9.07 g/L). 18 months in oak barrels of which 65% were new. Final blend: 80% Cabernet Sauvignon, 12% Merlot, 8% Petit Verdot. Background: 2003 was a classic Margaret River vintage with vines showing good health leading to excellent physiological ripeness particularly in Sauvignon Blanc, Cabernet Sauvignon and Malbec. Rainfall throughout the growing season was less than average but did not cause any problems in terms of vine stress. In fact, vine health was so good that they kept on growing after veraison, which is unusual. Flavour and tannin ripeness was great for Cabernet Sauvignon and Malbec. The Cabernet fruit showed a beautiful balance of flavours. Yields: Cabernet Sauvignon – 1.44 tons per acre, Malbec – 1.97 tons per acre, Merlot – 3.24 tons per acre, Petit Verdot – 1.12 tons per acre. Harvest dates: Cabernet Sauvignon, 21 March to 4 April (Bé 13.2 to 14.1º), pH 3.51 to 3.68, T/A 4.7 to 6.3 g/L, Malbec, 25 March (Bé 13.8º, pH 3.75, T/A 5.2 g/L), Merlot, 5 March to 23 March (Bé 12.3 to 14.0º, pH 3.42 to 3.80, T/A 5.2 to 8.1 g/L), Petit Verdot, 26 March (Bé 14.2º,pH 3.41, T/A 10.5 g/L). Separate parcels of fruit were fermented on skins from 7 to 28 days. The wine was aged in French oak barriques for an average of 15 months. 52% of these barrels were new. Final blend: 72% Cabernet Sauvignon, 20% Merlot, 4% Petit Verdot, 4% Malbec. Background: Good rainfall, which extended through until November in 2003, produced an excellent growing season for vintage 2004. This was conducive to both vine health and grape quality. The cool and dry conditions that prevailed during January and February led to the production of fruit with great balance and flavour. These qualities were subsequently retained despite the rapid ripening of grapes in mid March as a result of a heat wave. This spell of hot weather had a positive impact on the ripening of the red Bordeaux varieties used in the production of the 2004 Diana Madeline wine. Cabernet Sauvignon, Merlot and even Cabernet Franc achieved optimum ripeness, exhibiting fleshy palates supported with supple tannins. Harvest details: Cabernet Sauvignon, 23rd March to 8th April (Bé 13.4 to 14.2°, pH 3.40 to 3.90, TA 5.25 to 6.80 g/L), Yield 2.48 tons per acre, Merlot, Harvest 22nd March (Bé 13.9°, pH 3.55, TA 6.15 g/L), Yield 3.36 tons per acre, Cabernet Franc, Harvest 20th March (Bé 13.5°, pH 3.53, TA 5.60 g/L), Yield 2.85 tons per acre. Separate parcels of fruit were fermented on skins from 8 to 29 days. The wine was then aged in French oak barriques for an average of 18 months. 51% of these barrels were new. Final blend: 83% Cabernet Sauvignon, 12% Merlot, 3% Cabernet Franc. The first biodynamic vintage. Background: The dry and cool growing season produced fruit with very good natural acidities, good colour and flavour. Yields were slightly below average due to smaller bunch weights rather than less bunch numbers. The abundance of Marri blossom kept bird damaged fruit to a minimum. This was our second biodynamic vintage and we are very pleased with the perceived increase in fruit brightness. Harvest details: Cabernet Sauvignon, 11th to 29th March 2005 (Bé: 12.1o to 13.7, pH: 3.36 to 3.52, TA: 5.6 to 7.5 g/L), Yield: 1.9 tons per acre, Merlot, 13th March 2005 (Sugar level: 12.5, pH: 3.34, TA: 5.6 g/L), Yield: 1.35 tons per acre, Malbec, 29th March 2005 (Bé: 13.2, pH: 3.44, TA: 5.6 g/L), Yield: 2.25 tons per acre, Cabernet Franc, 14th March 2005 (Bé: 13.6, pH: 3.32, TA: 5.4 g/L) Yield: 1.4 tons per acre, Petit Verdot, 7th April 2005 (Bé: 12.8, pH: 3.03, TA: 7.8 g/L), Yield: 0.24 tons per acre. The grapes were vinified and aged separately. Treatment varies with each parcel. One parcel of Cabernet Sauvignon received cold pre-fermentation maceration for 3 days. Overall maceration times varied from 2 – 6 weeks depending upon individual assessment. All wines were pumped over for an hour each day. The wine spent 19 months in French oak barriques, 70% of which were new. The wine is bottled under 75% screw cap and 25% cork. Final blend: 77% Cabernet Sauvignon, 15% Merlot, 4% Malbec, 3% Cabernet Franc, 1% Petit Verdot. Background: The exceptionally cool weather that prevailed during the growing season in December 2005 extended through the following months to vintage in 2006, which turned out to be the coolest since 1982. Although ripening was consequently delayed by more than a month beyond when it typically occurs at Cullen Wines, the fruit still developed perfect physiological ripeness. Phenological and physiological ripeness were achieved in the red grape varieties at lower sugar levels than normal and thus the red wines have lower alcohol levels than in the past, a characteristic we aim to continue in the future. The very cool conditions that prevailed throughout the 2006 summer resulted in very low yields of the Bordeaux grape varieties at Cullen Wines. Those conditions led, however, to the production of a very refined and elegant Diana Madeline. Harvest dates: Cabernet Sauvignon, 21st of April to 5th of May (Bé: 12.1 – 12.5, pH: 3.34 – 3.45, TA: 6.0 – 6.8), Yield: 1.78 tons per acre, Merlot, 7th of April (Bé: 12.6,pH: 3.46, TA: 6.52), Yield: 0.59 tons per acre, Malbec, 10th of April (Bé: 13.1, pH: 3.44, TA: 7.12), Yield: 0.76 tons per acre, Petit Verdot, 20th of April (Bé: 13.5, pH: 2.91, TA: 13.05),Yield: 0.62 tons per acre, Cabernet Franc, 11th of April (added to Merlot for processing and fermentation), Yield: 1.25 tons per acre. A very late harvest stretching into the beginning of May for some Cabernet Sauvignon batches. The cooler summer conditions led to low sugar levels in the fruit, and hence a Diana Madeline of only 12.8% alcohol. The wine spent an average of 15 months in French oak, of which 40% was new. Final blend: 71% Cabernet Sauvignon, 19% Merlot, 5% Petit Verdot, 3% Cabernet Franc, 2% Malbec. Background: The substantial rainfall and moderate temperatures that prevailed during the spring and early summer of 2007 were ideal for encouraging growth and fruit development. However, the excessive rains and winds that were experienced on occasions during September and October did lead to some splicing of the vine leaves and a reduction in the volume of fruit. 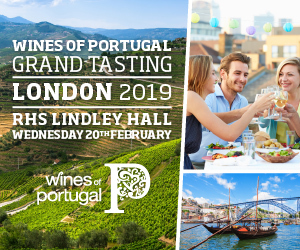 The warm temperatures in January, which only advanced the time of harvest slightly from the norm, proved ideal for optimising the final development of the fruit. The berries of all varieties were small and produced highly concentrated juices. Although there is every indication that 2008 will be an outstanding vintage for both white and red wines, the relatively low yields of some varieties will mean that production of some wines will be below average. 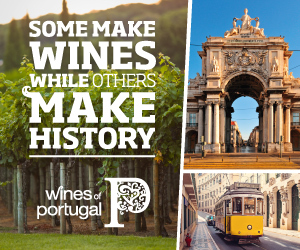 Harvest dates: Cabernet Sauvignon, 3rd to 20th of March (Bé: 11.2 – 12.7, pH: 3.20 – 3.59, TA: 8.55 – 5.55), Yield: 2.53 tons per acre, Merlot, 29th of February (Bé: 12.1, pH: 3.39, TA: 7.35), Yield: 0.78 tons per hectare. This vintage was the first to utilise our newly acquired Mistral® apparatus, which removes the leaf material and infertile berries from the quality fruit in the winery, in addition to the normal hand sorting. Also purchased for this vintage was a new basket press through which all red ferments were pressed. These additions to processing in the cellar allowed us to achieve even cleaner fruit in our ferments, and finer tannins in the wines. Final blend: 86% Cabernet Sauvignon, 14% Merlot. Background: Vanya has referred to the 2009 vintage as the Mozart vintage because all of the red and white wines produced in that year are in perfect harmony and balance. Good rainfall in the spring of 2008 resulted in excellent development of the vines and the provision of underground moisture for the lead-up to vintage. A small amount of rainfall in January 2009 was followed by little or no rainfall and no unduly hot weather in the following two months, during which the vast majority of fruit was harvested. A dream vintage for a wine maker. The quality, purity and vibrancy of the fruit produced in 2009 are exquisitely expressed in the Diana Madeline of this year. Harvest dates: Cabernet Sauvignon, 10th to 30th of March (Bé:12.4 – 13.3, pH: 3.35 – 3.61, TA: 5.78 – 6.75). Yield: 2.03 tons per acre, Merlot, 11th of March (Sugar level: 12.8, pH: 3.48, TA: 6.9) Yield: 0.87 tons per acre, Malbec, Harvest: 2nd of March (Bé: 12.05, pH: 3.38, TA: 6.6), Yield: 1.32 tons per acre, Cabernet Franc, 9th of March (Bé: 12.6, pH: 3.49, TA: 7.05), Yield: 1.60 tons per acre. The wine for the 2009 Diana Madeline spent 13 months in French oak of which 55% was new. Final blend: 88% Cabernet Sauvignon, 6% Cabernet Franc, 4% Merlot, 2% Malbec. 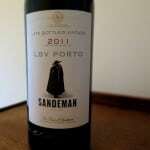 This sample has great vitality and delicacy both to its juicy, palate saturating cedar-edged dark cassis fruit. That cool, mineral-sluiced quality again too. Lovely fluidity. Very promising. 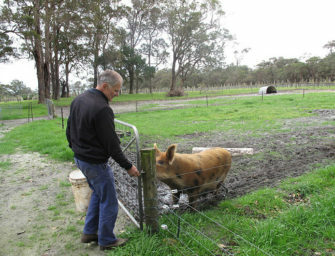 Background: The Cullen Wines Team couldn’t believe their good fortune as the weather conditions in late 2009 and early 2010 began to unfold and it became clear that 2010 was going to produce the fourth outstanding vintage on the trot. The good rainfall that fell in November helped the vines through some hot weather and prudent shoot and foliage trimming, aided by the numerous benefits of biodynamic viticulture, resulted in an increase in yields, but without any loss of quality. The Marri blossom in the late summer and early autumn of 2010 was profuse and consistent, which kept the silver eyes occupied and thus only some of the most vulnerable vines needed netting. The summer was slightly warmer and drier in 2010 than in 2009, resulting in the production of slightly richer wines in the more recent of those vintages. Harvest dates: Cabernet Sauvignon, 8th to 30th of March (Bé:12.3 – 13.1, pH: 3.36 – 3.50, TA: 5.9 – 6.97, Yield: 2.54 tons per acre, Merlot, 2nd of March (Sugar level: 12.0, pH: 3.3, TA: 7.35) Yield: 1.33 tons per acre, Malbec, 2nd of March (Bé: 13.1, pH: 3.45, TA: 7.2), Yield: 2.29 tons per acre, Petit Verdot, 28th of March (Bé: 12.2, pH: 3.09, TA: 8.9), Yield: 3.13 tons per acre. The 2010 Diana Madeline has been in oak for around 15 months. This wine, which is still in barrel, currently has 51% new French oak. Final blend: 83% Cabernet Sauvignon, 12% Merlot, 4% Malbec, 1% Petit Verdot. Brilliant! Never seen a Cullen here but a great read. I only saw one cork effected bottle from the 90s. Much better then the dreadful run of corked bottles from my cellar. I now only have bottles with screwcaps. Great vertical! could you check the link to the WFW article? it does not seem to work. thanks! Hi Luca, thanks for this – glad you enjoyed the report and yep – what a line up!